There is always a beginning and an end. What brings you to something may also want you to end something. If everything remained the same then we would be stagnated, no progress, the same old routine. What tops this is that a lot of people complain about their routine, but resist when it’s time to change. Go figure. Sometimes a change is mandatory, especially if you’ve grown and you become over qualified in the position that you are in; the next step is an evolution. An evolution does not come without sacrifices, but then again you may have to leave some people who you’ve known behind. But don’t worry those people often hinder your evolution, so it isn’t really a sacrifice to leave them behind. I know lots of people who made sacrifices, many used to live in foreign countries. They were making good money, living very comfortable but decide to drop everything and move to America the land of opportunities. They know that when they leave and go to a foreign place that they will be on the bottom. Fresh start, new people, new environment, new language, no lap of luxury; they may even have to rent as opposed to always having their own home. But the move was not done to benefit them. It was done to benefit their children. Personally I contemplate many things. 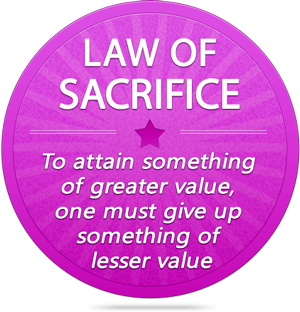 What I contemplate usually manifests as long as I’m willing to sacrifice something. In my experience something must be given to gain or meet a goal. 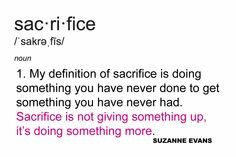 The sacrifice can be anything; it can be money, time, relationships, energy, physical work or putting up with psychologically factors that take me into new territories. So be it that is the price of evolution. But the one thing that I would never do is to compromise my soul ( https://truegeorge.com/2015/07/16/contracting-your-essence/#respond) to physical or non-physical forces. You may ask, those that fall on their knees and give homage to non-physically forces what price do they pay for their preys to be answered? We all know being material can be quite expensive and it ends when a chapter in life ends, the soul was being prostituted and in the end those who prostituted their soul end up wanting to give penance. 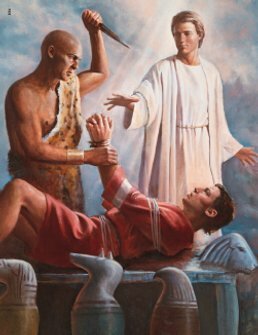 Those who spiritual sold their soul will pay a higher price. How expensive is it to Sacrifice your soul?